As the leading local news provider in the USA, as well as a producer of sports content, Sinclair Broadcast Group has a well-known track record for delivering world-class quality broadcast television content. Part of Sinclair’s toolbox for delivering a superior broadcast television service is Triveni Digital’s StreamScope XM Verifier . Sinclair uses StreamScope XM Verifier to obtain a complete view of its ATSC 3.0 service, including important quality-assurance metrics such as video, metadata, STLTP, ROUTE/MMTP, IP routes, and RF. 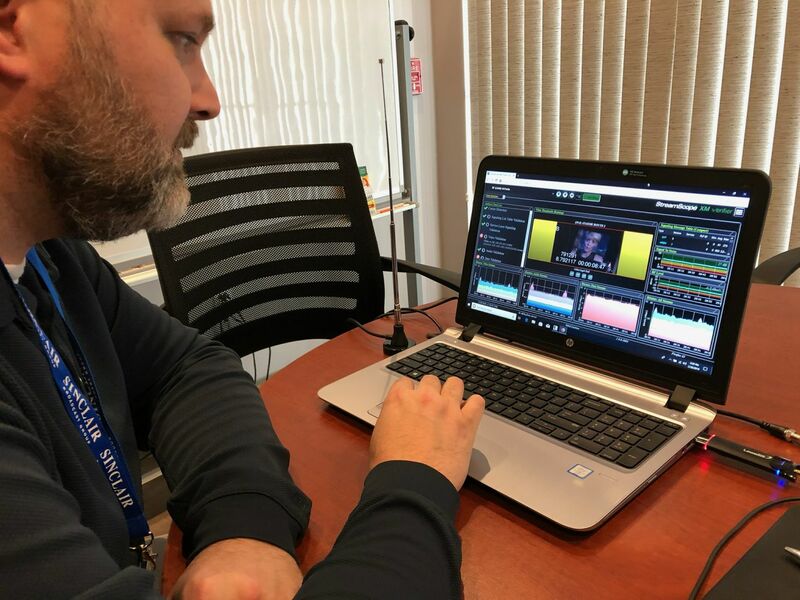 StreamScope XM Verifier reports on service-assurance metrics via easy-to-digest video thumbnails, simplifying the quality assurance process for Sinclair Broadcast Group stations. Sinclair broadcast stations can also use the system to record and manage PCAP files for playback. With a quick glance at customized dashboards; real-time graphs, charts, and tables; and video rendering and rotating thumbnails, the broadcaster can keep its ATSC 3.0 operations running smoothly. By cutting the Gordian knot of verifying ATSC 3.0 streams, StreamScope is helping Sinclair to continue delivering exceptional broadcast content for the next phase of TV. April 8-11 in Las Vegas, at booth N3908.